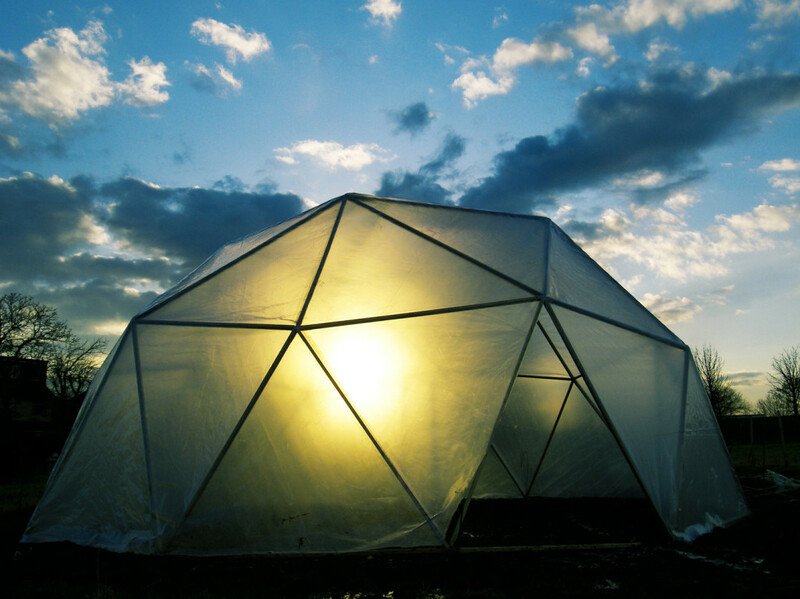 I recently built a 6m in diameter and 3m high geodesic greenhouse in the center of my allotment using standard sized treated wood, a few nuts and bolts and polythene sheeting. I am currently designing an instruction manual for the dome and will post it up once it is completed. I have looked at possibilities for the interior but not in depth as I would not be able to afford to install something on the scale as shown below. I would like to do something with the inside which has similar functions as shown below using less resources but I’m going to need to think and research about it more before I can come to a solid and final idea.